Another great, and large, buffet breakfast at the hotel. Evan arranged for me to be picked up by Mr. Zhang, Mr. Pi’s nephew. Pi had to attend a wedding, but will take me to the airport tomorrow. Evan estimated abbout an hour and a half drive to The Great Wall. The estimate of 1 1/2 hours was not bad to get into the vicinity of the Wall, but on this beautiful Sunday, it seems that everyone in the country had decided to visit the Wall. Road construction on the narrow uphill road left traffic at a literal standstill for long periods, and I began to despair of ever getting to (or leaving) the Wall. Finally, we managed to cram into parking lot a ways down the hill and I convinced myself that I would (might) be able to find Mr. Zhang when I returned. 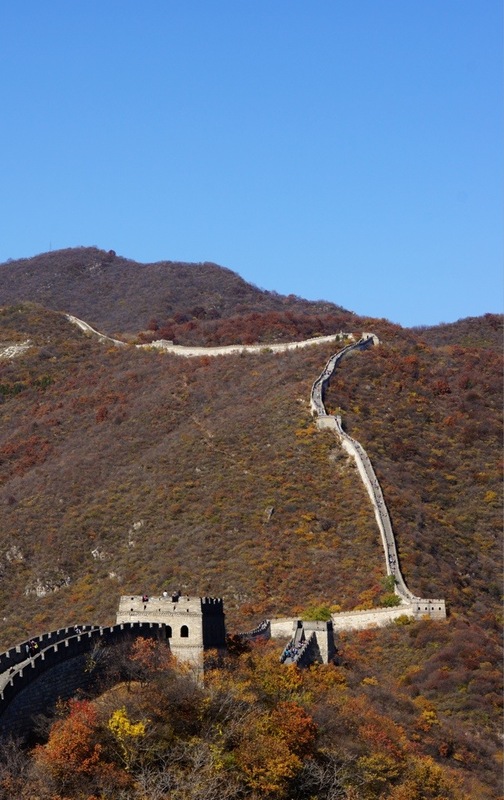 The Great Wall spans some 5500 miles and was built over a period of about 2000 years, from the Warring States Period, 476-221 BC to the Ming Dynasty, 1368-1644. 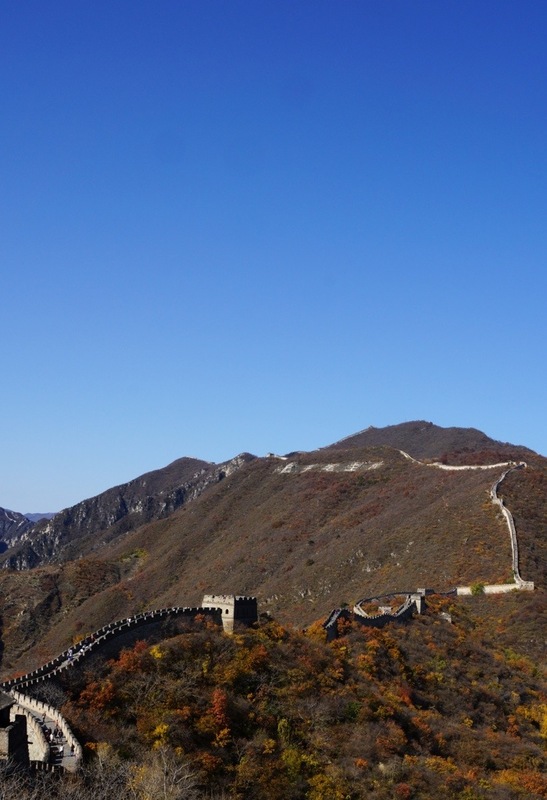 The Great Wall was originally built in the Spring and Autumn, and Warring States Periods as a defensive fortification by the three states: Yan, Zhao and Qin. It went through constant extensions and repairs in later dynasties. 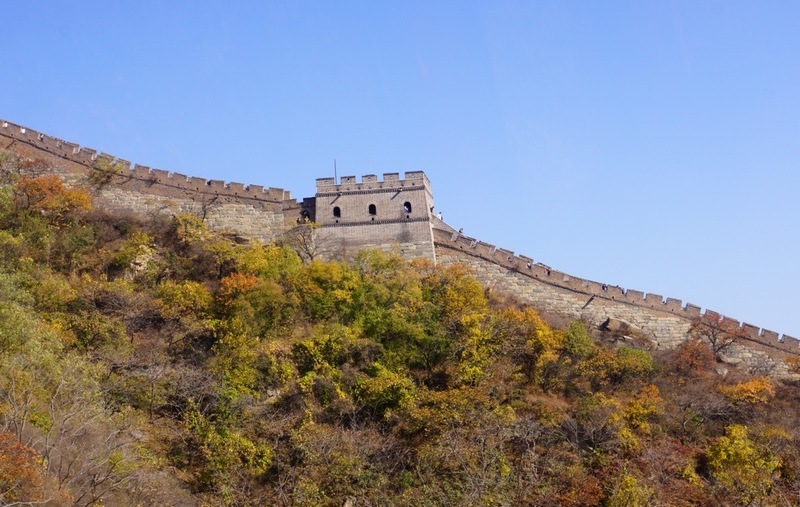 It began as independent walls for different states when it was first built, and did not become the “Great” wall until the Qin Dynasty. Emperor Qin Shihuang succeeded in his effort to have the walls joined together to fend off the invasions from the Huns in the north. Since then, the Wall has served as a monument of the Chinese nation throughout history. 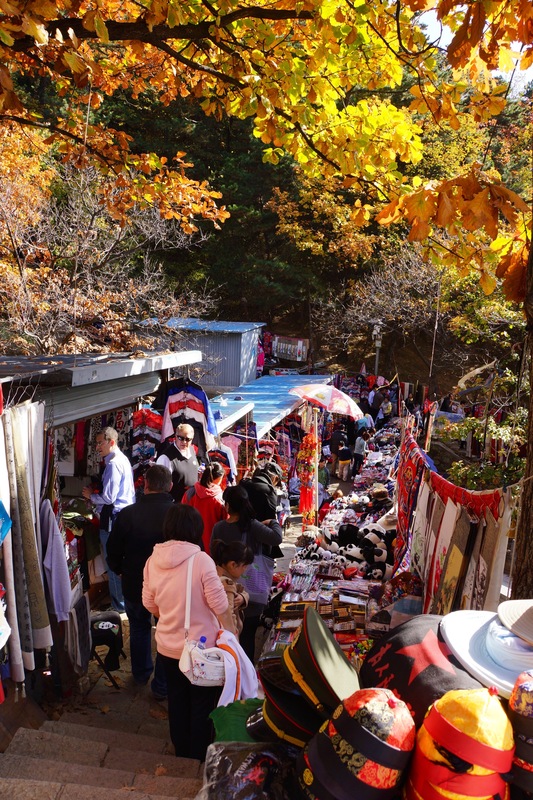 The uphill walk, running a gauntlet of Wall souvenir stands, was steep and I determined, definitely wisely, to invest fourteen bucks to ride the cable car up and back to the Wall. My recollection is that we hiked it with the Segals. If that recollection is correct, and if we were at the same point on the Wall, all I can say is that twelve years makes a hell of a difference. The Wall is every bit as spectacular as I remembered it; indeed, perhaps more so in the surrounding Fall colors. It is such a monumental structure that it seems almost a part of nature, rather than something created by man. Hard to pick which photos to include, but here are a few. The Great Wall is one of those sights in the world that, no matter how many photos you’ve seen, or what your expectations are, you can’t be disappointed. For that reason, I chose to see it again, unlike, say, The Forbidden City, which, though terrific, did not beckon for a revisit. Other things I’d put into the same category as The Great Wall: the Grand Canyon, Michelangelo’s David, the Ajanta caves (in India),The Acropolis, life on the Ganges River in Varanasi, Tiger’s Nest (in Bhutan), Abu Simbel (in Egypt) and Machu Picchu. The Taj Mahal, while great, would not make my cut. Petra would be a very close call, and I might give it the benefit of the doubt. The huge sculpted heads on Easter Island would be close, too. As I’d seen the Wall before, and because it was crowded and I was a bit concerned about finding Mr. Zhang, I did not spend a long time up on the Wall, perhaps 30-40 minutes. Running the commercial gauntlet downhill, I was offered Great Wall t-shirts, two for a dollar (6 Yuan), but it turned out that the ones I was being shown were cotton t-shirts, which cost 50 Yuan. I left a number of vendors, but finally settled on 20 Yuan for one (a bit over three bucks). Not too bad, but Carol would have gotten it for 10 Yuan, or walked away content without anything. Amazingly, getting out of there was easy and the ride back quick, until we hit heavy traffic near Beijing. I recalled that on our first visit to the Wall, on the initial stage on the way back, we rode bikes for the first time on the trip, an easy introduction, because it was virtually all down hill. All in all, it was definitely worth seeing the Wall again. And I might very well do it a third time, for sure if it were with grandchildren. Arrived back at the hotel around 3:15 PM, and relaxed, answered emails and made a few preparations for tomorrow’s departure, before Evan and Sarabeth picked me up at 5:30. (Didn’t need to blog, as I’d done that in the taxi, en route home.). 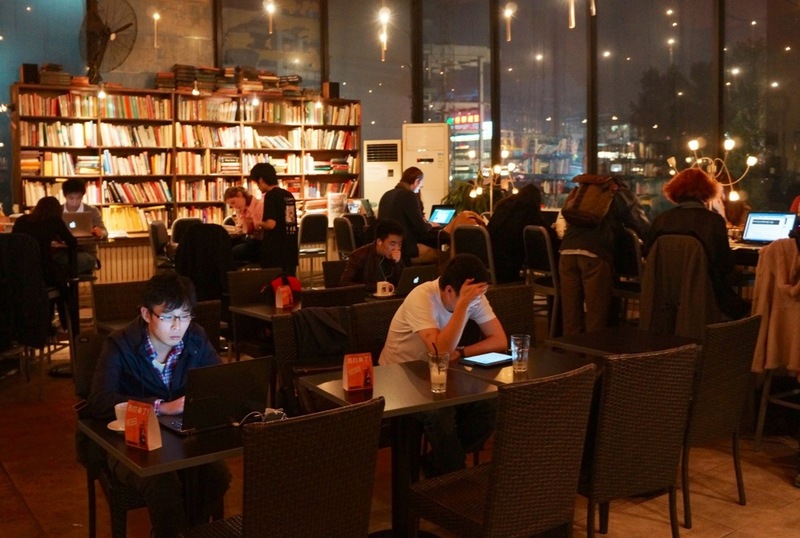 We taxied over to a very funky bookstore/coffee house, a center of ex-pat activity in Beijing. There we met with a Stanford professor, Andrew Ng, who is promoting a consortium of American universities who are offering free, online course materials to students around the world under the name Coursera. Evan is interested in what Andrew is doing in China and conducted an interview with the professor that Sarabeth and I listened in on. 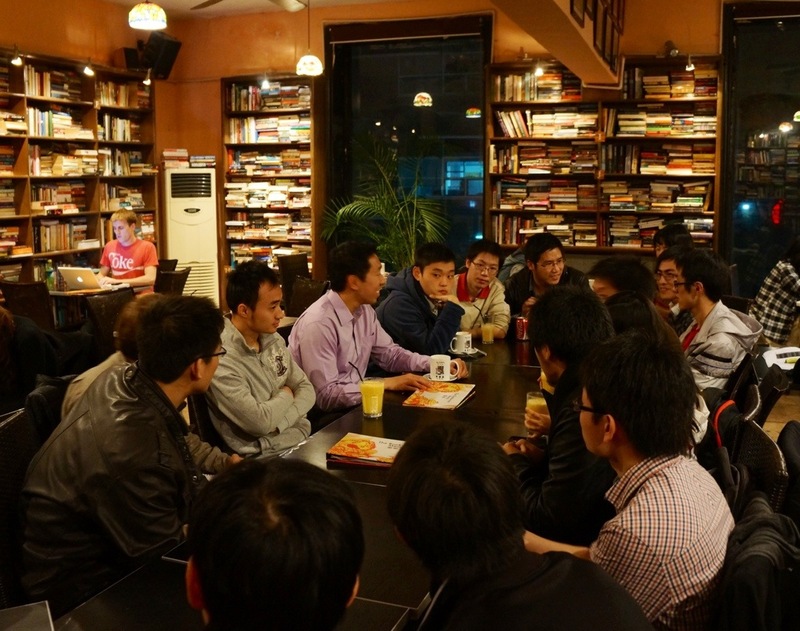 The professor then met with approximately twenty Chinese Cousera students, and Evan listened in. Taxi to Duck de Chine, very attractive restaurant only a couple blocks from my hotel. Talk about Evan’s book, which will be an examination of the tensions between individual ambition and autocracy in areas of financial growth, truth and belief, as seen through the lives of people Evan has followed over several years in China. He has a 9-month leave to write it. We are joined by Barbara Demick, a good friend of Evan and Sarabeth, who is the Bejing bureau chief of the LA Times and wrote an amazing book on North Korea called Nothing to Envy,. The book won the U.K.’s top non-fiction prize, the Samuel Johnson award, in 2010 and was a finalist for both the National Book Awards and a National Book Critics Circle Awards. I have downloaded a sample of Nothing to Envy and begun reading it. And it’s terrific. Her earlier book, Logavina Street: Life and Death in a Sarajevo Neighborhood is being republished in 2012. 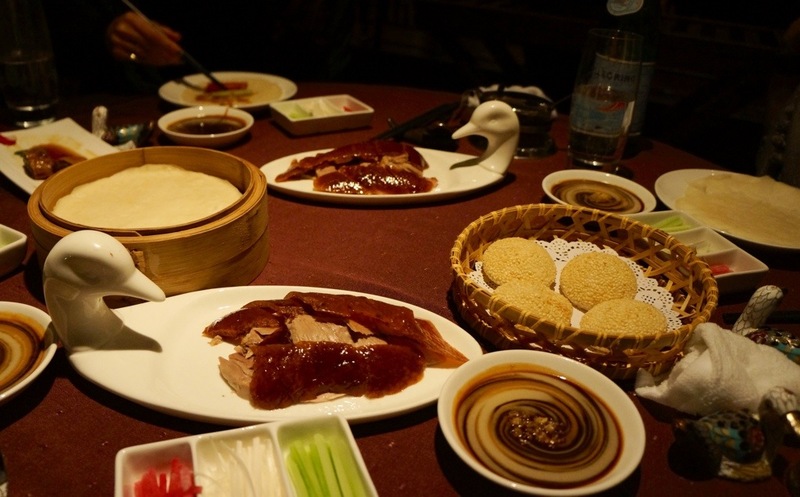 Sarabeth ordered a great dinner, featuring duck, shrimp, dumplings and eggplant. Great conversation over dinner. Evan and Barbara have a deep knowledge of goings on in all aspects of Chinese life, from politics to the arts, including dissident artist Wei-Wei. Barbara’s eleven year old son, Nick, lives with her. Walk back to The Peninsula. 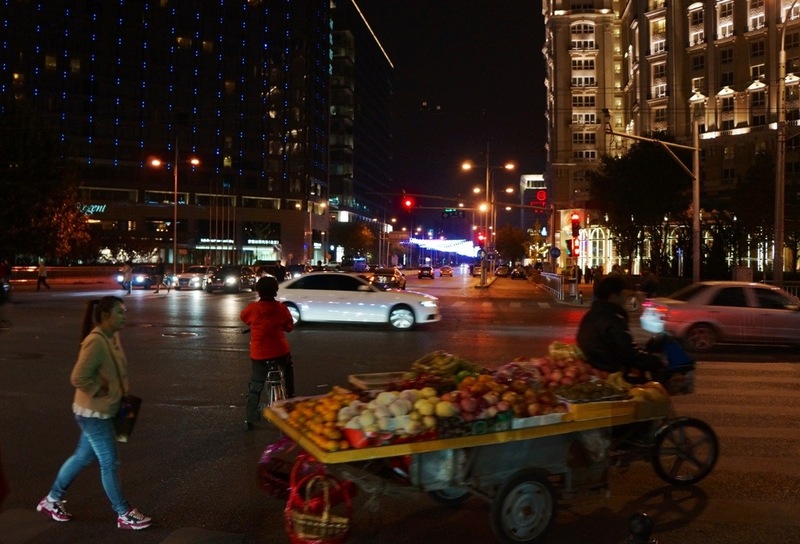 Glimpses of Beijing by night. Evan and Sarabeth plan to move to the DC area. 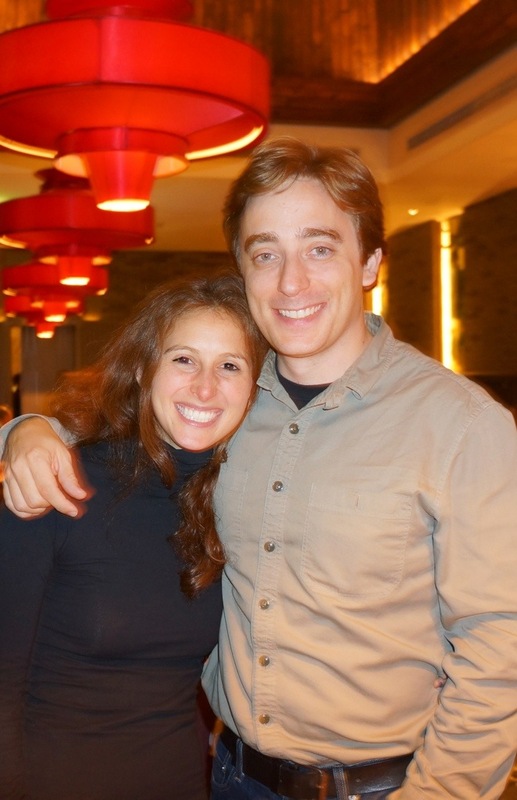 After seven years in China, Evan seems ready, though he expects a big culture shock. He thinks that his China experience will allow him to cover the U.S. with fresh eyes, and that the political scene in the U.S. is one of the few things that rivals China for interest. I’m hoping that Evan, Sarabeth, Jodi and Robby will hit it off and become good friends. Off to start the adventure tomorrow. Though neither have been there, both Evan and Sarabeth report that Ghizhou (pronounced “Gway-Joe”) is supposed to be among the most interesting places in China, and a spot that not many folks get to. First day will just involve arrival, meeting the group and some orientation. Sorry for my lapse but for the past week I was too sick to travel. In China, or, even to Lithonia. Very disappointing. Nothing glamorous but virus with a temp and persistent cough, that would annoy even the most empathic. And will no doubt get me thrown out of a play that Carol and I are seeing tis afternoon. Your Great Wall viewing and experiences with Evan after, sounds terrific. My main exposure to going back in time is turning my clocks back. Which I had the deep pleasure of doing last night. Sorry the t-shirt sale didn’t work out as you’d planned. But glad you shared the outcome. This will give all of us back home, waiting for a t-shirts, plenty of time to adjust.